Welcome! Get information on the fastest cars of the world on our site. We are automotive fans and we love sports cars and speed! One thing is technical characteristics of the car which are given in the description by the manufacturer. The manufacturer always gives the overestimated characteristics. Therefore real speed of the car ― is speed measured by independent observers in known, comparable, standard conditions. If procedure of measuring the speed is comprehensible and result are accurate (not skidded, for example) it’s added to the book of Guinness records, that means the worldwide confirmation and trust. Besides, race between manufacturers gets serious and the results which one is the fastest can change every day, so on our site we observe which automobile is actually the fastest in it’s class and in general. We have ratings and top 10 lists by various criteria and making a new ratings of different type of cars. The given lists is based on worldwide automobile base, and in occurrence of a new applicant, it is constantly updated. Among fastest sport cars it is possible to find expensive Italian automobiles, such as Lamborghini or Ferrari, exclusive models from the Swedish company Koenigsegg, powerful French supercars under a brand of Bugatti and many others. We also review interesting models from various brands as we love speed and vehicles that can satisfy our desires. Incredible and only SSC(Shelby SuperCars) Ultimate Aero 6.3 V8 is really the fastest car in the world. This unique sample of the American automotive industry is capable to accelerate to momentum of 436 km/h (270.9 mph) speed. This super sport car is capable to accelerate from 0 to 100 km/h only in 2,78 seconds. That is an amazing result and the best of all 4 wheel automobiles at this day and of course this is the clear winner of our top. Of course things change fast so we might see a new pretender to beat that result, but right now they are proudly called the fastest automobile on the planet earth and most of the authoritative sources agree on that. The roadster Porsche 918 Spyder became the fastest in the world the serial car with a hybrid power-plant, he managed to pass Northern loop of a Nurburgring in 6 minutes and 57 seconds! To Mark Lib, the test pilot of Porsche, it was possible to keep average speed in 179,5 km/h throughout all arrival. But it is not necessary to forget that the car which has established record speed, has a special package from Weissach which assumes removal of climate control and an audio system for weight reduction, and also the car equipment special aerodynamic elements and installation of wheel disks from a magnesium alloy. 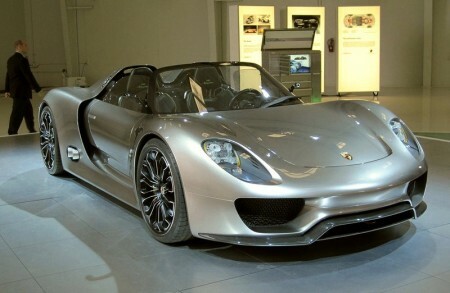 918 Spyder has following characteristics: a hybrid engine of 887 h.p. consisting of an eight-cylinder 4,6-litre internal combustion engine and two electromotors. Acceleration of this super car to 100 km/h occurs in 2,8 seconds only, to 200 km/h in 7,7 seconds, and in 22 seconds it already can reach 300 km/h speed. The maximum speed is equal to 340 km/h (210 mph). 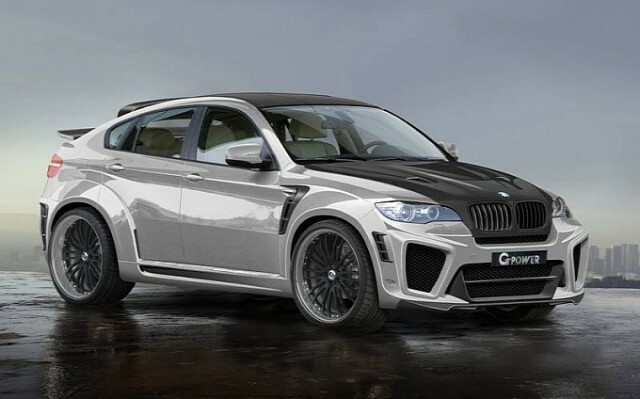 German performance tuning company G-Power based in Autenzell, Bavaria, presented the new project called BMW X6 Typhoon RS V10 which, first of all, is interesting by the dynamic characteristics. Tuned up BMW X6 can be accelerated to 100 km/h (62.1 mph) in 4,2 seconds, and for acceleration to 200 km/h (124.3 mph) it took only 13 seconds. As you can predict, maximum speed also impresses — 330 km/hour. Similar high-speed indicators places Typhoon RS V10 in world leaders among SUV’s. 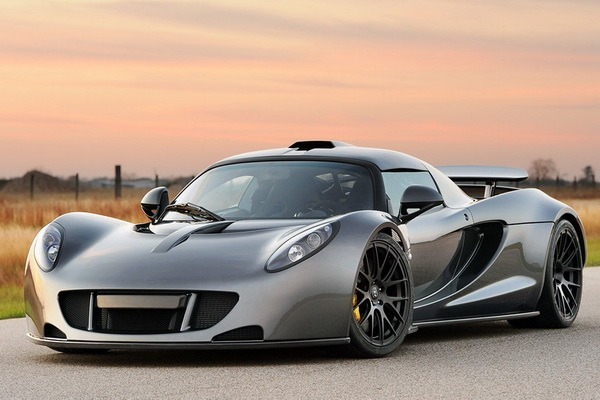 Car Hennessey Venom GT made by forces of engineers of company Hennessey Performance Engineering, got to the book of records of Guinness among fastest super automobiles. This car is the best American made automobile by accelerating to maximum speed of 270 mph (435,3 km/h). We review top accelerating automobiles from all over the world and put them on our top lists also you can read detailed reviews about many other autos who didn’t make our top lists but are also fast as hell and are wanted and adored by automotive lovers. Our lists also contains by specific type of car such as SUV’s, police cars, sedans, made in USA automobiles and other type of lists. As we live in a modern world and with every year we are moving to new technologies and especially hybrid and fully electrical autos we decided that we should also rate the fastest models in these categories and you can find the on the left side. We used a lot of resources of information to gather specifications to rate cars, of course we have high quality photos included and in some cases videos of the record speed and other interesting stuff.